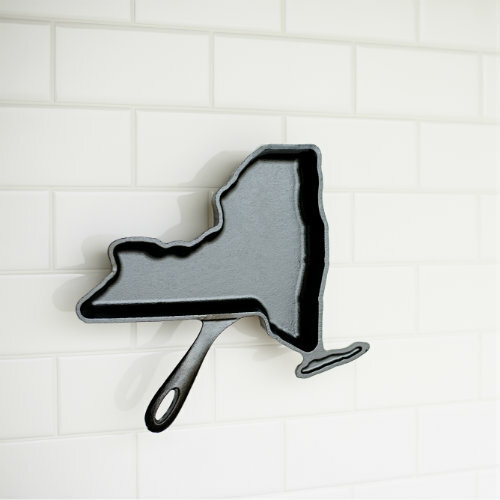 "Art of the State Cookware"
Share the love of home. Have some fun with your food! 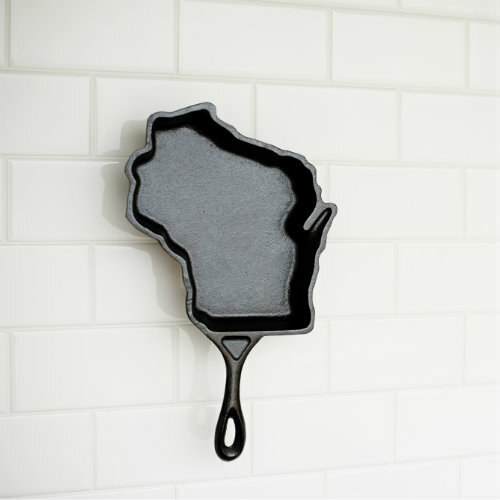 Made in Wisconsin by the hands of craftsmen, Our pre-seasoned state shaped skillets are ready to leave a lasting impression at dinner parties, tailgating & as a unique gift idea. Handles up and 3 'dogs wide.. Cold winters mean hot skillets! Two pan handles for the price of one! Cheese. Beer. Meat. And Tailgate! The ultimate melting pot, Long Island included! Don't see your state offered? Vote now to pick the next one we create! 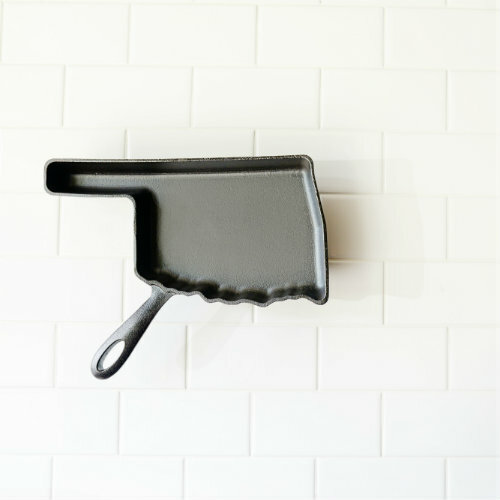 Here are a few of the publications, shows and events where American Skillet Company has been featured. Nothing says “I am home” more than a meal made from scratch & shared with friends and family. 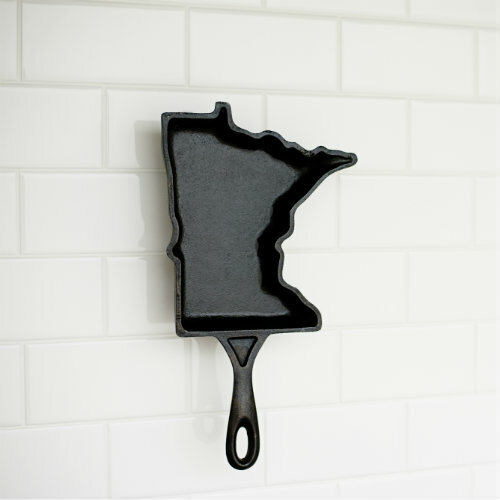 Serve your culinary craft with a unique visual twist and hit all the heart strings with your state shaped love & pride. Devil’s in the details, they say. Employing craftsman with an eye for detail, our skillets are touched by many hands across their making, ensuring a smooth finish & that our deeply seasoned layers are up to snuff, meeting our high artisan quality standards. Handmade processes are about as picky as it gets, and we never cut corners! 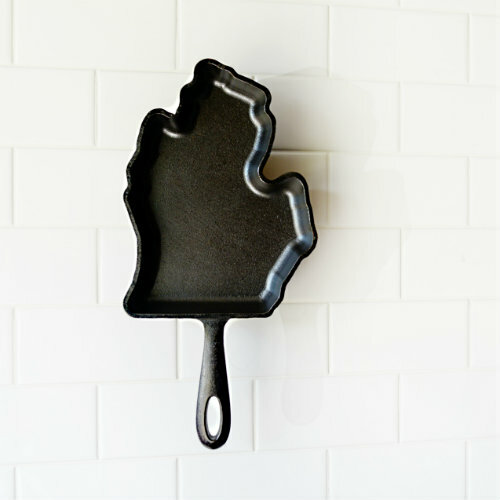 Each skillet is lovingly cast with a special process to create an ultra-smooth interior cast texture. Pre-seasoned in small batches with multiple coats of organic USDA certified oils provides a naturally non-stick finish ready to cook on, right out of the box. As a memory for our family and where we have been, where each of our 8 children were born and where our family landed when coming to America 5 generations ago. 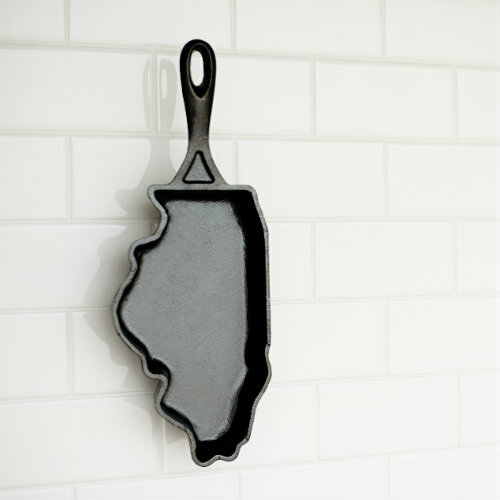 On birthdays we cook their chosen meal in the skillet representing where they were born. Awesome memories that will last a lifetime. 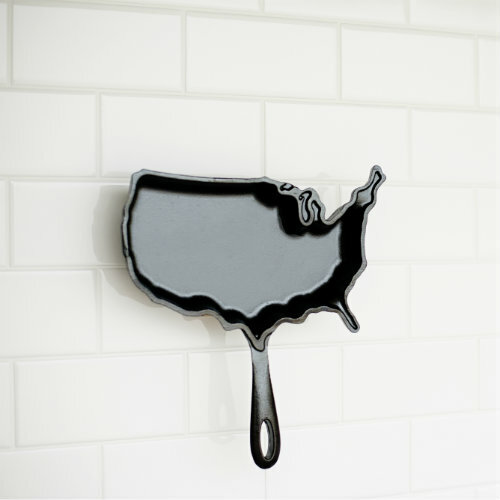 We love our American skillets! Lori P.
Sign Up for our "Skillet Underground" Emails! Enter your email address and get 15% off your first online purchase. 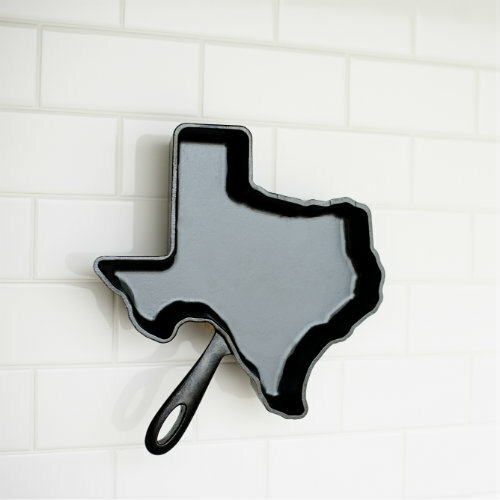 Be the first to know about new skillet designs, exclusive promotions and more!